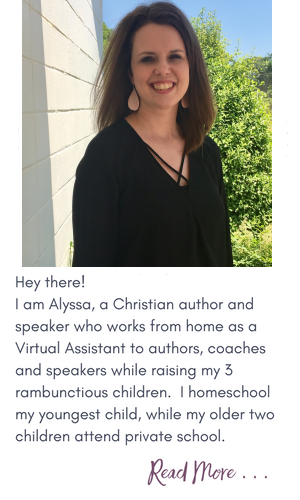 Today’s guest is Jennifer Evangelista. 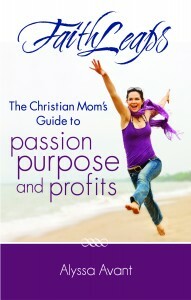 She has an amazing website called Grace in Color which is full of Bible journaling resources. Take it away Jennifer . . . I am honored to have the opportunity to share with you all a little bit of my journey in Bible Journaling in hopes of expanding your vision concerning this beautiful form of worship and helping you realize that it may be for you even if you consider yourself a non-artist. 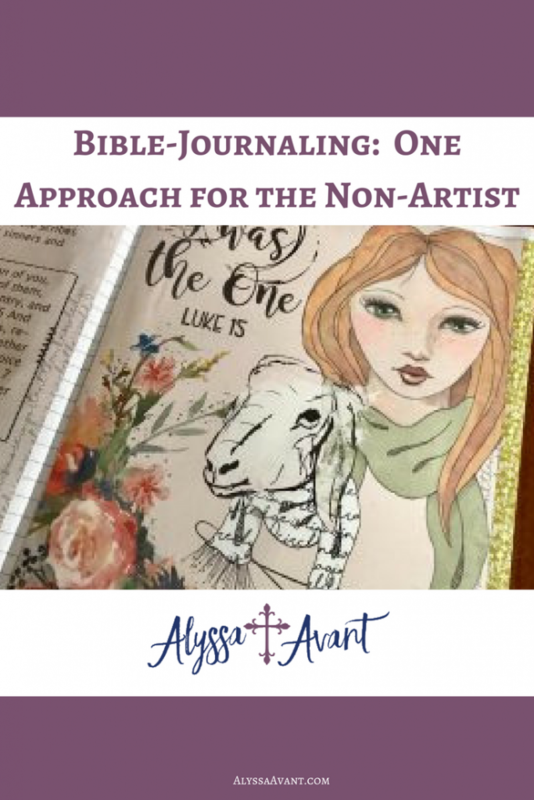 If you are reading this, you are at least nominally interested in Bible Journaling, but I know that although many of you have already embraced it, there are some of you who are trying to figure out if this is something for you. Some of you are already using your Bible as a canvas for paints and lettering and even mixed media art. Others are uncomfortable with the very idea of marking in the Word of God. You could say that I have always been a Bible Journaler because I have always loved writing in my Bible. I never worried about it because I knew from an early age that in order for me to truly understand and remember something, I had to pair reading with something visual. As a kid, I would underline, doodle or highlight text and write points made by the preacher in sermons in the margins of my small Bible. 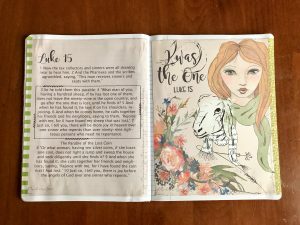 The transition to a Journaling Bible a few years ago was seamless, although I will admit that I was intimidated at first to actually create art in that Bible. I learned that at the bottom of my hesitation was idolatry. For some people, it is difficult to mark in their Bibles at all for various reasons, and that is OK! You can choose to photocopy, write out, or print out the scripture in a journal or notebook as another way to get the Word in your heart. Then you can create art around it if desired. Others don’t enjoy taking the time to create and would rather simply read or listen to the Bible. That’s awesome, too, and means that Bible Journaling may not be for you at this stage in your life. For me, it was that I didn’t think I was “good enough”. And that, my friend, was pride. My “art” was not really Instagram worthy, so I didn’t do it even though I knew it would help me learn the truth of the gospel more effectively. Don’t fall into that trap. If you want to color, write, doodle or draw to worship the King of Kings who is the very one who created that desire in you, then do it! And don’t let comparison get in your way. Today, I am an atypical Bible Journaler. Yes, I write, draw and color in my Journaling Bibles, but I also use other journals, planners and Prayer Journals as backgrounds for worship. And I enlist lots of different “non-artistic” methods to achieve the pages I create. It’s great fun and a wonderful way to contemplate the message I have been given by God His Word. There are no rules. I am a visual learner and combining artistic elements or beautiful lettering with scripture helps me remember the truth behind the words. I also love it because it slows me down enough to hear from God. There are certainly times when simply reading or listening to the Word of God is important and I would never diminish the power of that, but sometimes I need to stop and listen more closely. Creating something lovely helps me to do that. This all depends on what I have available at the time I am creating. But I always start with a simple pencil and either a Bible or journal. I love colored pencils as well because they are less intimidating than paints. But my favorite thing to use is ephemera, scrapbook and crafting elements or digital art that I print and cut out. The options are endless and it completely eliminates the need to create art yourself, while still focusing on the beauty of the page as you worship. This is difficult because I really do like to mix things up, but I’m going to share with you one of my favorite ways to create art in general. This artistic expression started with my love of documenting the big and small moments of my family life. Digital scrapbooking transitioned into digital art journaling and then hybrid mixed media creations. This logically morphed into digital Bible Journaling and although that may sound a bit scary to you, it’s a wonderful (and simple) way to enjoy this form of worship. 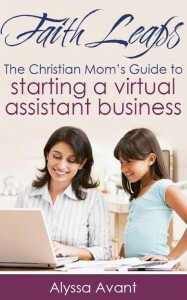 Hear me out as I take you step by step through this process. Gather supplies. Digital supplies like those sold in a digital scrapbooking site can be easily printed out and used. My personal favorite website for these kinds of elements and papers is The Lilypad. 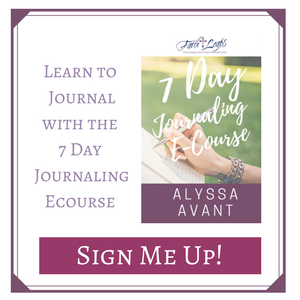 In fact, I will be teaching an online Bible Journaling workshop there starting in April 2018 where you can explore this more closely. You can also gather supplies from around your house… bits of paper, invitations, paper crafting supplies, children’s craft supplies. Anything that can be glued down! Decide on your background. 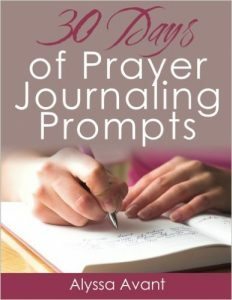 This can be a journal, Bible, Interleaved Bible, notecards or any paper. Your imagination is your only limit. Assemble your page. In the example I am showing you below, I copied and pasted the text I was studying into a document to print out. I used a piece of digital paper as the background. 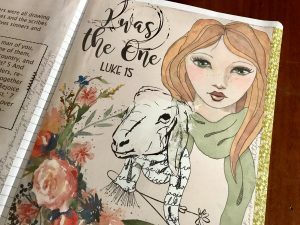 Then on the opposite page, I created a scene that helped me to visualize myself as the one lost sheep in the parable of Luke 15. It reminds me that I am precious and that God found me. He chased me down with His grace and saved me. I did nothing. I was indeed lost. The good shepherd did it all. Note that these pages were actually done in an altered composition notebook. And they used artwork from a kit created by Rebecca McMeen at The Lilypad (fonts Magnolia Sky and Machost). How awesome is that? Every time I see this page in this notebook, I will be reminded of the important truth of that parable. And I will worship my Good Shepherd. If you are a skimmer, here’s the important part of this post. Bible Journaling is many things to many people. But it should always start with the Word of God and is ultimately a form of worship and a way to draw you closer to your Creator God. Enjoy. Have fun. Learn new creative techniques. And dig a little deeper into the Word today.